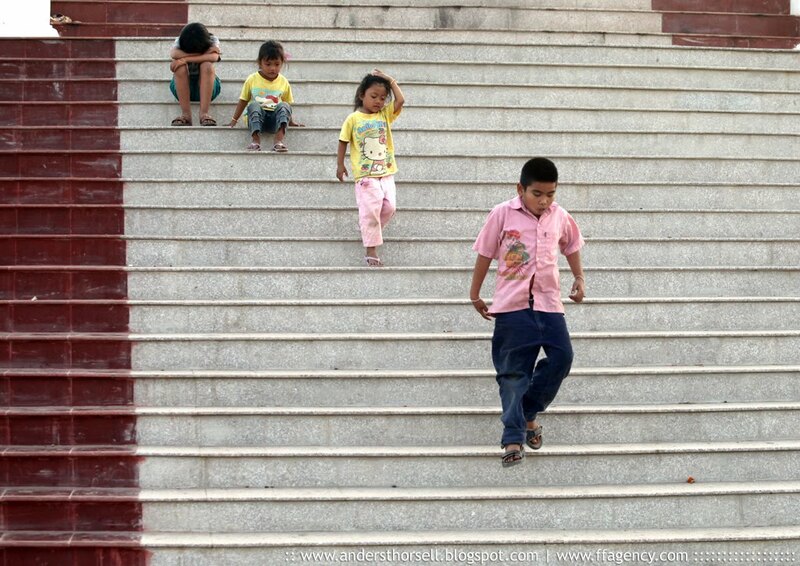 Four kids in a row, some of them rushing down the stairway leading to the mighty Mekong river. Photo: Anders Thorsell. 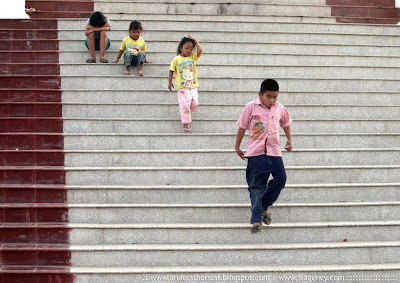 Location: Vientiane, Laos.